Tack Room with plenty of room to store all your valuable horse tack.The dimensions are: 12? x 11.5? x 11?. 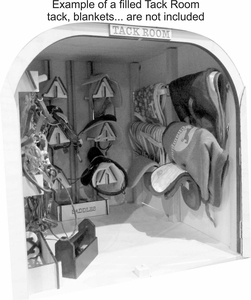 Your Breyer horses will be happy to know their tack will be in tip top shape when they wear it. 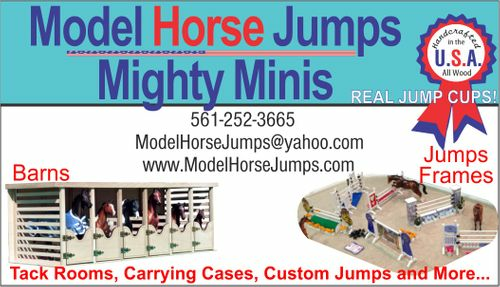 There are 10 hangers for your bridles and halters, 6 saddle racks, and 6 hinged blanket holders, a storage area under the bridle racks for all the little things. We hope you will have fun filling it up as you collect breyer tack and equipment.